Are you ready to get Mad about Science?! We hope so because Mad Science of Long Island is coming to North Shore Day Camp this summer as part of our Camp Within A Camp program. Mad Science will run a week-long science camp from July 20th – July 24th for campers in 1st through 6th grade. Mad Science operates franchises around the world, bringing millions of kids the fun, amazement and wonder of all things science. Mad Science is the leading science enrichment provider on Long Island and we are excited for them to work with NSDC campers this summer! Mad Science’s energetic Mad Scientists are trained professionals who come with awe-inspiring equipment, ready to engage and educate children in an interactive and entertaining way that kids will love. 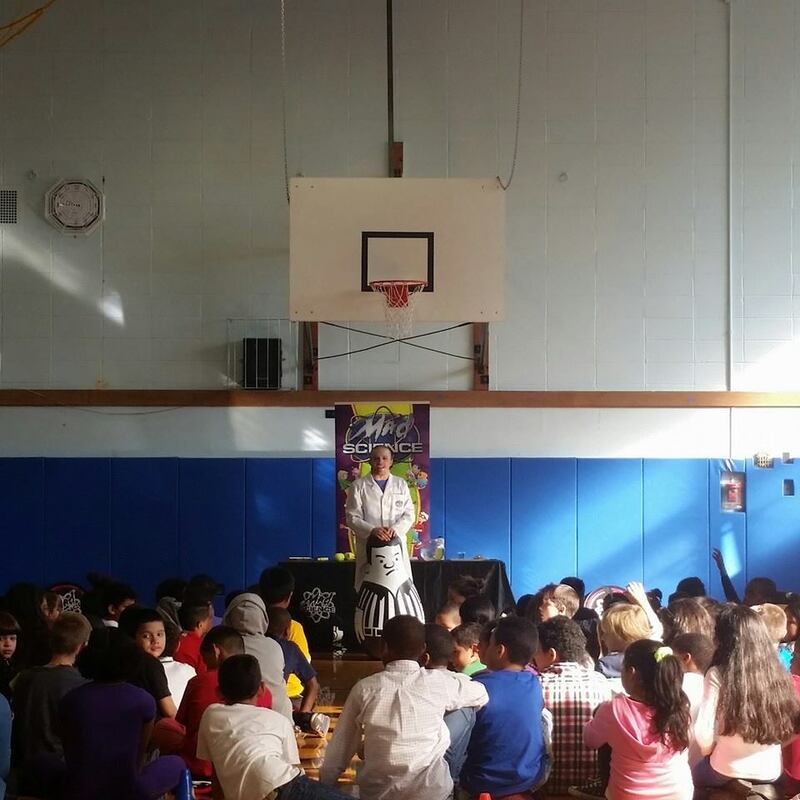 We sat down with Mad Scientist, John Clements (aka Professor Soda Pop), to learn more about Mad Science’s programs, their philosophy on teaching science to children and what we can look forward to this summer! What is your background? When did you start (or get involved with) Mad Science, and what inspired you to do so? My background is in entertainment and the arts world. Outside of Mad Science I am a full time musician and writer, also doing some on and off work in the art world and film/tv. I’ve been involved with Mad Science for 2 years now. The job was greatly intriguing so I decided to look into it and it’s been a great 2 years! The best thing about Mad Science is that the kids who come to see us have a blast while learning about the exciting world of science. We really “put on a show” to make it a fun time, so we keep the kids interested. All of our programs are very hands on, which keeps the kids engaged and helps with their learning curve. We also have a great bunch of people that work for the company with lots of cool, fun personalities. We truly believe Mad Science is the best of its kind. What is your philosophy/approach in teaching and working with kids? Well, for me, I’m just a big kid. I can connect with them on many levels from talking about their cartoons and current toys and all the in between. I’m also patient and have a kooky personality, which basically allows me to be myself and they really appreciate it. The sillier I get the more fun they have, I keep their attention and we have a great time. These characteristics are what we look for in all of our Mad Scientists. What can camp families expect their kids to get out a week-long workshop with Mad Science this summer? The camps are awesome; we do a variety of activities, which again are very hands on. The kids get a take home an experiment each day to further enhance what they have learned that day in camp. We build robots, launch rockets, and work with catapults. It’s literally a blast! CLICK HERE for more information and to enroll in our Camp Within A Ca mp program—please note there will be a limited enrollment so if you are interested please do not wait to enroll.